Are you travelling to or from Croatia with lots of luggage? Let My Baggage help. We make the process of shipping luggage to Croatia an easy and affordable one! My Baggage offers a convenient luggage shipping service to Croatia. Our door to door service means you can do everything from the comfort of your own home. We ensure your luggage is picked up at your door and delivered to the door of your destination. This means you don’t have to carry heavy baggage with you, allowing you to enjoy the travelling! Croatia is a popular and indeed growing destination for many holiday makers from various parts of the world. The scenery in this sunny spot is utterly breathtaking. With a spectacular 3,900-mile-long coastline, there’s plenty of sun and sand for everyone in Croatia. There’s numerous UNESCO World Heritage Sites to visit when you’re not soaking up the sun by the pool or venturing to the mountains for a hike. If the buzz of busy cities isn’t for you, there’s numerous quiet coastal and hilltop towns to stay in, full of culture and happiness. Situated on the Adriatic Sea, Croatia is a Mediterranean and Central European country. Zagreb is the capital and largest city of the country. It’s a city that is rich in history, with the nickname ‘City Of Museums’ it’s the perfect place for a history buff, but it’s not as popular as the coastal towns of Croatia. This is said to be changing in coming years, with tourism on the increase in cities like Budapest and Krakow, it’s likely that Zagreb will soon be a top competitor for them. 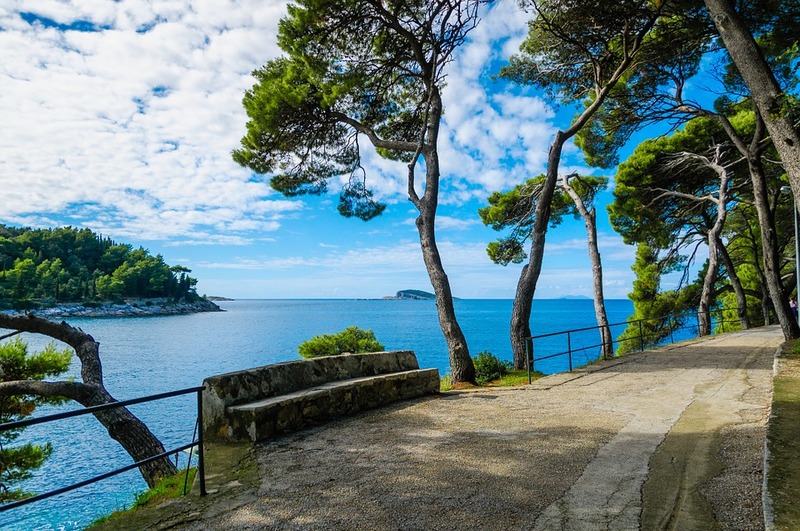 Game Of Thrones location,Dubrovnik – If you’re a fan of the hit T.V show, ‘Game Of Thrones’, you’ll want to visit Dubrovnik when in Croatia. 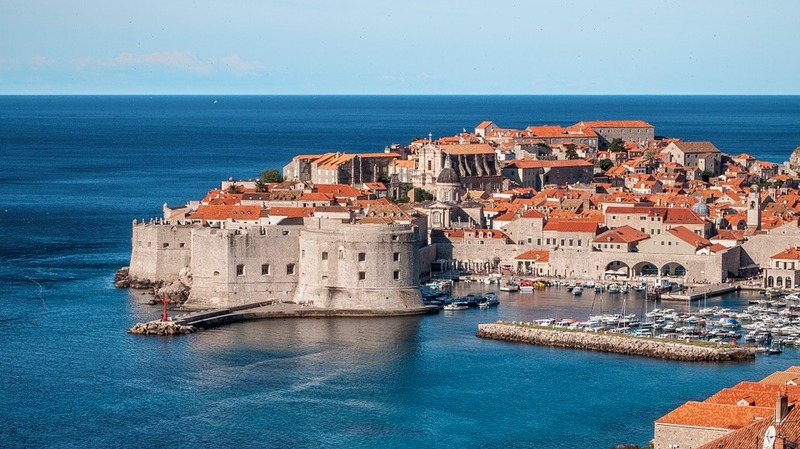 Dubrovnik, southern Croatia, is home of the ‘King’s Landing’, a fictional city in the show. This location is listed on the UNESCO World Heritage site list, and a good place to visit even if you’re not a Game Of Thrones Fanatic! Plitvice National Park, Central Croatia – This popular tourist destination was also granted a UNESCO World Heritage title. This National Park is famously known for it’s 16 glistening lakes, interconnected by the most beautiful waterfalls. Here you’ll come across some wild animals in their own free element, a sight not to be missed. There’s lots of things to do here for everyone, a brilliant thing about the tours of the national park is that they can be done in a number of languages, catering for many and making it a definite worthwhile visit. Roman Arena, Pula – This arena is the only Roman Amphitheatre left that is complete. You can simply visit the theatre or even better, book a show. The shows are highly recommended and are said to take the audience a step back in time, creating a wonderful atmosphere. There’s many reasons you could be travelling to Croatia. It could be for a holiday, a business trip or even a gap year. If you’re planning on sending large household items to your destination, removal companies would be ideal. Smaller items can be checked onto your airline, which is handy as your belongings are always close to you. However, if you’re planning on packing a lot, airline baggage fees can be extremely expensive. My Baggage offers a low cost alternative to this, taking the hassle away from your travels, allowing you to travel luggage-free. 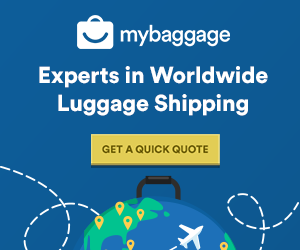 Why Ship Luggage With My Baggage? Fantastic Prices – We like to keep our prices low to make our service affordable, which makes our customers happy. We don’t like to be beaten in price. So, if you get a better offer elsewhere let us know and we’ll try our very best to beat it! Door to Door Shipping – Our service is super convenient. We will pick your luggage up from your home address and deliver it straight to your destination in Croatia. That’s right, there’s no need for drop off points as we do everything else for you! Top Customer Service – Here at My Baggage we pride ourselves in delivering top customer service.Our team of customer service experts have years of experience and can answer any questions you have about the service or your shipment. You can contact the experts through email, phone or live chat on our website. Here at My Baggage, we ship much more than just luggage to Croatia for our customers. Why stop at luggage, when there’s so much more we can ship to make our customers happy?! Have a look at some other items we ship to Croatia on a regular basis. If you are planning on partaking or competing in sports during your time in Croatia, you might hope to bring your own equipment with you and if so, My Baggage can help. Sending your sporting equipment to Croatia with My Baggage is simple and requires very little from you, making travelling to Croatia with sporting equipment that little bit easier. This can erase the hassle of having to rent equipment and gives you the comfort and confidence when playing as you’re using equipment that belongs to you. When heading to Croatia, you’ll want an easy way to get from A to B and a way that you can explore your destination a little more. So why not bring your bike with you to Croatia?! My Baggage is the affordable and convenient way to get your bike to Croatia, scroll down to get a quote. Please note: When shipping a bicycle with My Baggage, please ensure that your bike is dismantled before your collection date. This can be done in your local bike shop by someone who knows the do’s and don’ts, or by yourself. Once the bike is dismantled, place it in a strong and sturdy cardboard box and use internal cushioning if necessary. Packing your personal items for Croatia is simple. Your items can be sent in boxes, suitcases or a mixture of both. To ensure your items are safe and won’t get broken, it’s highly recommended to use strong- double walled cardboard boxes. When shipping from the UK to Croatia, goods do not pass through customs clearance and therefore are not subject to import tax or duty. However, if you are sending luggage to Croatia from outside of the EU, you will be required to complete and send a customs invoice with your shipment. If needed, My Baggage will provide you with the appropriate customs paperwork for you to complete and attach to your shipment. If your shipment does not have a customs invoice attached, it will not make it past your local country border, and you may have to pay return charges to get it back. Generally, My Baggage shipments clear customs in a timely manner, free from duties and taxes, as most countries offer a generous duty-free allowance for personal effects. However, as customs processes and allowances are different around the world, and because My Baggage has no control over any decisions made, we do advise doing your own personal research into customs regulations in Croatia and quarantine before booking your shipment. We also recommend you to make yourself aware of any potential customs duties in Croatia and be sure to follow all advice provided by customs directly. When sending items to another country with My Baggage there are certain items that cannot be carried in your luggage, this is for security and customs reasons and is standard with many shipping companies. As well as this, some items can be carried but will not be covered by compensation. If you plan on sending them, please do ensure they are packaged correctly and securely to lower the likelihood of them breaking. This decision is yours and these items will be sent at your own risk. Have a look at My Baggage’s list of prohibited and non-compensation items. Please note that import allowances, security and customs processes differ all around the world; we recommend that you do your own personal research into what may be prohibited in Croatia before booking your shipment. Booking is made simple with our 24/7, online booking system. It’s easy to use and convenient, taking a lot of stress away from your travels. All you have to do is book your shipment, print off labels and attach them to your luggage.We’ll take care of the rest. If you’re worried about the whereabouts of your luggage, you can check by logging into your account. With our online tracking system, you can follow your luggage shipment every step of the way.